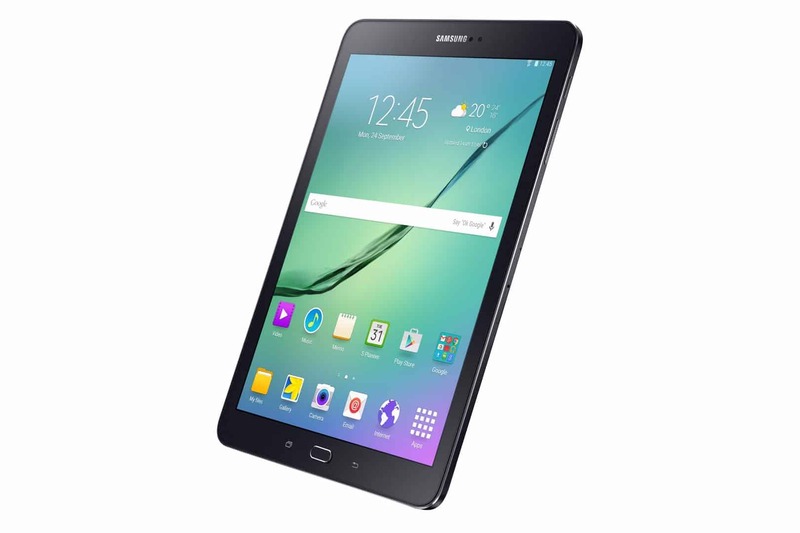 Last week, Samsung officially announced the Samsung Galaxy Tab S2, the follow-up to the beautiful Galaxy Tab S models. The Tab S2 offers a 4:3 aspect ratio, following the current trend away from widescreen tablets, but continues to use Samsung’s gorgeous AMOLED screens of a high resolution. The Tab S2 is available in both 8-inch and 9.7-inch models and each has the same high resolution of 2,048 by 1,536 pixels, which is the same as the HTC-made Nexus 9 for example. Samsung’s press release reports that Tab S2’s Super AMOLED panel displays over 90% of Adobe RGB color for “true to life colors” and of course, both models have a sharp display too. The 4:3 aspect ratio should provide users with a better all-round experience for reading eBooks, magazines and newsfeeds, plus browsing the web. Furthermore, Samsung have continued to refine their AMOLED technology and the Tab S2 benefits from their Adaptive Display, which is designed to smartly adjust the brightness, gamma, saturation and sharpness applied to the image depending on the application being used and ambient lighting, both the brightness and color temperature of the environment. Samsung’s adaptive display technologies are used to reduce power consumption of the display as well as improve the viewing experience for the customer. The Tab S2 is based on a Samsung Exynos octa core processor arranged in a big.LITTLE configuration and backed up by 3 GB of system RAM. All models come with 32 GB of internal storage plus a MicroSD slot for cards of up to 128 GB capacity. There’s an 8MP rear camera and either a 4,000 mAh battery (the 8-inch model) or a 5,870 mAh battery (the 9.7-inch model). All devices are based around Android 5.0.2 Lollipop under Samsung’s TouchWiz interface. As with the original Tab S, the Tab S2 comes with a fingerprint sensor on the front – and again Samsung have built the Tab S2 to be very thin. How thin? The devices are just 5.6mm thin, constructed from metal, but are lightweight (the 8-inch, WiFi only model weighs 265g, up to 392g for the 9.7-inch, LTE-equipped model). Samsung have now announced that the Galaxy Tab S2 is to be available in Hong Kong starting on the 4 August in black and white, with the gold version available a little later in the month. The Tab S2 will have a large number of extra applications and freebies included in the device thanks to the Galaxy Gifts Package. There’s evidence of Samsung’s licensing settlement with Microsoft in the shape of an extra 100 GB of Microsoft OneDrive storage for two years. In addition, customers can enjoy three months of Audible subscription, a free book download every month from Amazon Kindle, an Expedia discount code valued at the equivalent of $20, two Manga comic downloads a month, plus Hancom Office editing tools and a couple of free games. Prices range from HKD3,088 (around $400) for the 8-inch WiFi model and rising to HKD4,888 ($630) for the LTE-equipped 9.7-inch model. The post Samsung Galaxy Tab S2 Available Next Week In Hong Kong appeared first on AndroidHeadlines.com |.